Based on the C4, the Citroen DS4 is a light, more compact edition that gives the driver the command of the road. It’s slightly taller than its “older sibling” by 40mm but 60mm shorter and 20mm wider, spotting a flexible slanting rear beam, giving it the stability that is buoyed by a front suspension typical of a MacPherson and a hydraulic power steering. 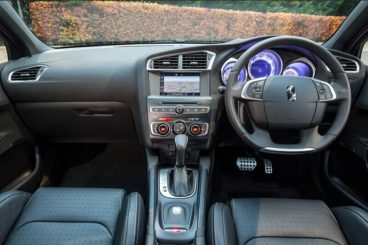 Living up to the stringent Euro 5 emissions requirements, the Citroen DS4’s engine is a wide and very flexible affair with options such as a 1.6-litre diesel with between 110 and 160bhp HDi powerplants. 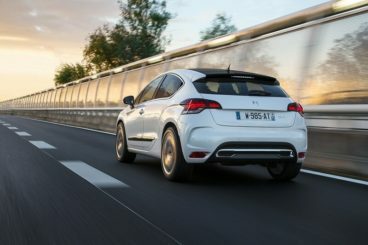 The DS4 comes with other variations at the engine section. 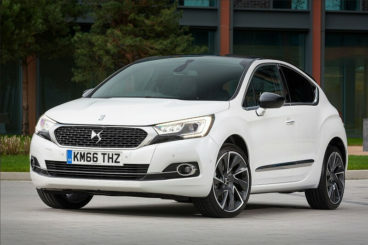 Citroen co-developed with BMW three 1.6-litre petrol engines for the DS4: the 120bhp VTi which, sitting under two engines, gives a decent edge over Peugeot’s RCZ sports car; the 155bhp; 200bhp THP units that serves up to 275Nm of torque.Whichever engine you go for, you still get to have the Citroen’s six-speed electronic transmission. All this comes along with a conventional manual alternative. The Citroen DS4’s deceptive design can make you mistake it for a three-door coupe when in actual fact it’s a genuine five-door hatch. With bulges over all the wheels as well as the bulging shape of its bonnet, with a panoramic windscreen that confidently recedes into the roof, the DS4 clearly shows off its power with modesty. It has imposing arches for the up-to-19-inch front wheels which crease backwards at about a metre high. It’s the cascading raked roof rushing to the rear hatch to meet an imposing spoiler that gives the DS4 the coupe look. The DS4 carries its striking unique signatures of boomerang-shaped rear lights and the illuminated LED front fog lights. The flamboyant chrome detailing on the rear bumper caps its outside design. The interior is leather-lined, with an imposing contour sculpture of a dashboard well-adorned with chrome-rimmed dials. There is a cool interior ambiance that resonates with the leather-embossed door handles. 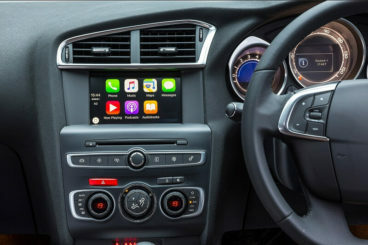 The cabin is something of a marvel that gives the comfort and sense of peace for all occupants of the car. The amazing panoramic windscreens gives a great 45-degree upward view which actually is a good feature for the light inside. Despite a 370-litre boot space, the Citroen DS4 still has enough space for two adults in the back seat, something that rivals like VW’s Golf or Alfa Romeo’s Giulietta cannot proffer. This car comes with unique features that are built to hook the buyer at first sight, so to speak. What with the immaculate sound system that is evenly distributed within the cabin! It has a wonderful three-level air conditioning system. The lights on the instrument panel can be user-defined from white to blue. For enhanced vision as circumstances may dictate, the front fog lights are so well-designed to boost visibility by up to 75 degrees when turning. Check out, too, for the Blind Spot alert system that warns you of the vehicles you may not see in your mirrors. This car is a marvel. It also has, for your safety, a speed limiter that you can configure on the cruise control console. Just when you thought you had all the remarkable gadgetry you could ever think of, you find that there is also Citroen’s eTouch Assistance System that will help you in the event that the car is immobilised. And it can be done either manually or automatically. All the DS4’s engines are neat and non-guzzlers and, surprisingly, including the powerful THP 200 petrol unit that emits a good 149g/km of CO2. For the most fuel efficiency, the best option would be the 110bhp HDI diesel which, as a “micro-hybrid,” is equipped with Stop/Start technology that will automatically cut off the engine if you are stuck in traffic or at the lights. The lower road tax as a result of its lower emissions is another plus. Purchase comes with an incentive, the “FreeDrive,” which is packaged for the customer. It takes care of costs pertaining to servicing and maintenance, roadside breakdown and recovery and MOT testing. Individually tailored, this bonus also takes care of wear and tear costs for stuff like tyres! With their DS series in the frontline, Citroen are leading the pack. This Citroen DS4 is just something out of this world for a five-door family hatchback that gives you the sporty feel, unlike its C4 precursor. With spacious leather-trimmed interior and an impressive powerful and efficient engine, the Citroen DS4 is your dream car. The price is a song for such an immaculate affair that stands among the plush models, typical of Citroen DS models. 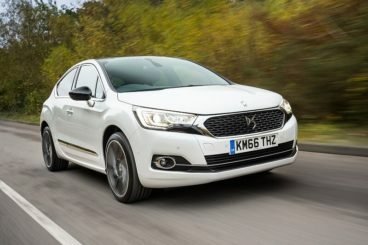 If you want to get hold of the Citroen DS4 then don’t hesitate to leave us a message on our contact us page or give us a call on 01903 538835 to find out about our Citroen lease deals.